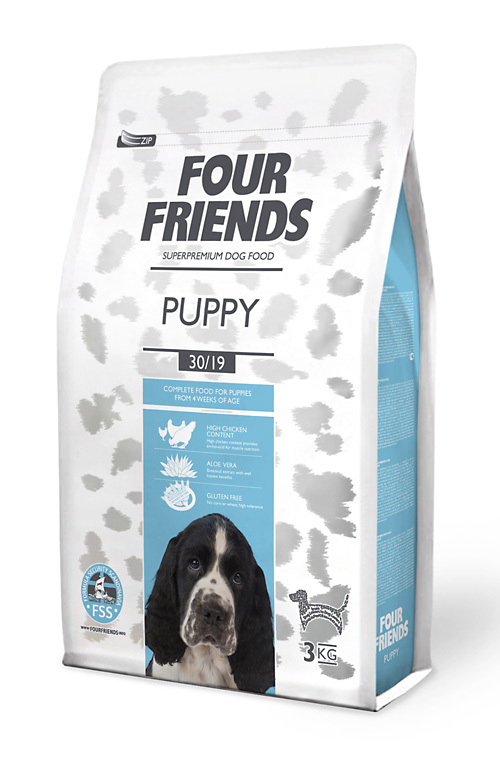 FourFriends Puppy Food has all the nutrients needed for the correct growth and development of the puppy. The 42% chicken meat gives a high protein content, with 75% of the protein coming from animal origin. Salmon oil is added which provides the healthy omega fatty acids which are important for brain, sight and central nervous system development. 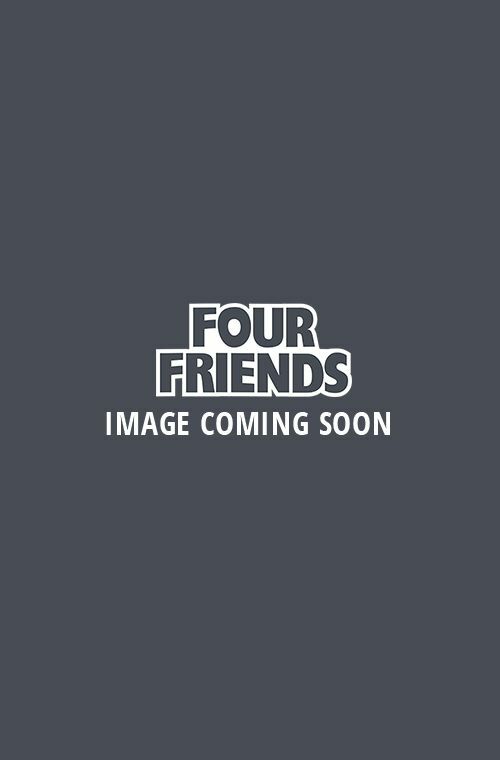 Small & medium dogs: from weaning to 12 month, then switch to FourFriends Adult. Large dogs: from weaning to 12 weeks, then switch to our Junior Large Breed. 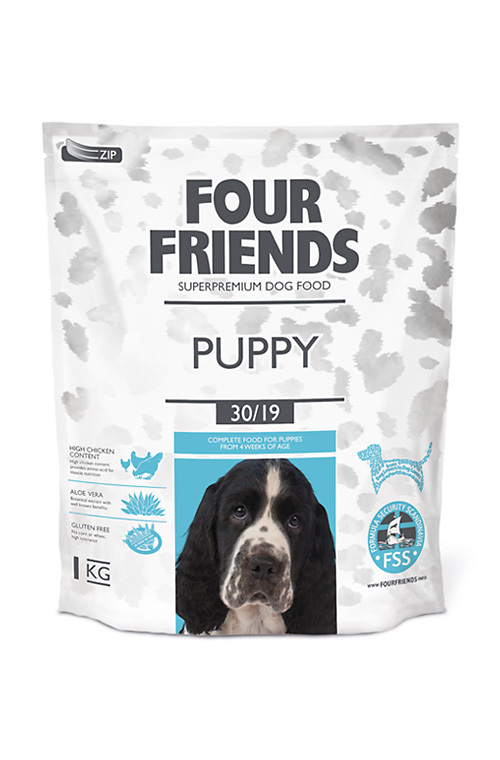 With a 3kg bag costing £14.50, a 12kg bag costing £48.50 and a bundle of two 12kg bags only £82.50 FourFriends Puppy gives your puppy a excellent start. Remember you earn Loyalty Points on each purchase. Chicken 42 % (chicken meat meal 22 %, dehydrated chicken 20 %), rice, chicken fat (preserved with mixed Tocopherols), potato protein, potato fl akes, dried apples, poultry protein hydrolyzed, brewer´s yeast, hydrolyzed poultry liver, salmon oil, aloe vera (1,5 g/kg), fruit & herbal extract (300 mg/kg), mannan-oligosaccharides (150 mg/kg), fructo-oligosaccharides (100 mg/kg), yucca schidigera extract (80 mg/kg). Serve the feed dry or slightly moistened. Provide to your dog always enough fresh water to drink. The daily nutritional requirements of your dog may differ according to its size, age, performance, and environment. Recommended daily amounts are shown in the feeding table. 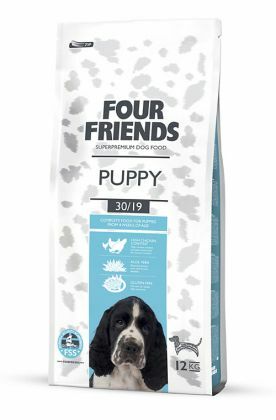 In case of puppies - you should divide the daily portion into 3-5 servings. To maintain proper condition, make sure your dog gets plenty of exercise and do not overfeed.